The 6 days Annapurna Base Camp trek is a short trekking itinerary mainly designed for trekkers who are physically trained for strenuous treks. And it is also the perfect trek option for those on a tight schedule. Annapurna Base Camp trek is the popular treks in Nepal which anyone can opt for even without any physical rainings. This legendary trek offers the endless beauty of nature including spectacular views of the Annapurna. There is various itineraries for ABC trek, however, this is the shorter version which starts and ends at Pokhara ( the lake city). The fact that you can complete this trek within a short period of time is one reason why it is popular. 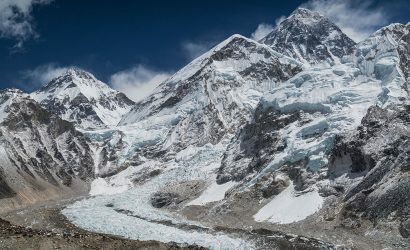 This short yet fulfilling 6 days Annapurna Base Camp trek provides a great opportunity to the witness the natural and cultural diversity of the Annapurna Sanctuary in the shorter time frame. 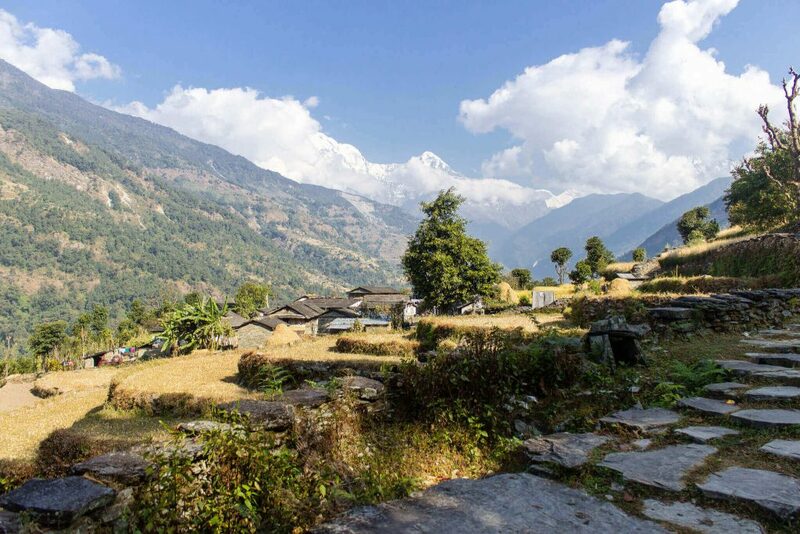 The major highlights of this trek are the culture and tradition of the Gurung tribes, mountain village, and lifestyle. Along with the lush green rhododendron forest, flora and fauna and many more. One can also enjoy breathtaking views of snow-capped mountains such as Mt. 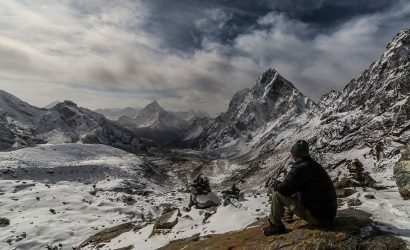 Annapurna, Dhaulagiri, Machhapuchhre, Gangapurna, Mardi Himal etc. This trek is possible at any time of the year. 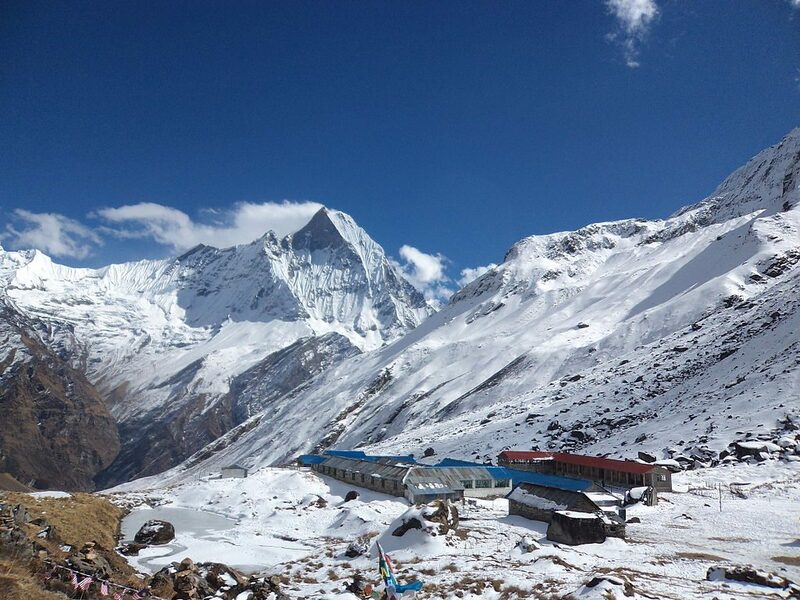 However, the best seasons to trek Annapurna Base Camp are Spring (March to May) and Autumn (September to November). 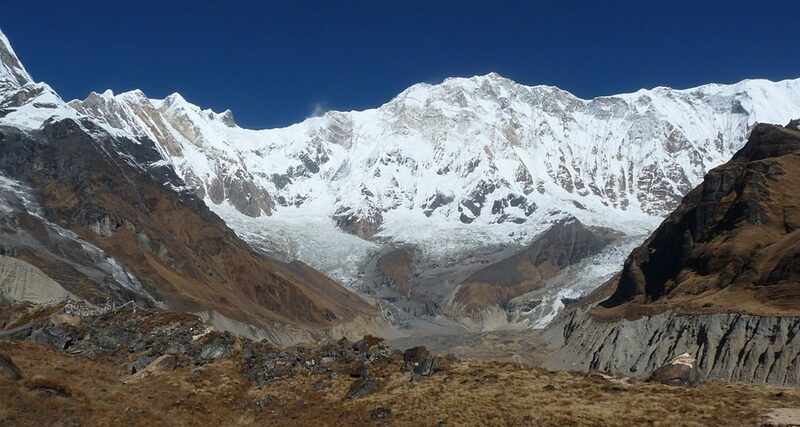 Like any other trekking region, you need trekking permit to trek to the Annapurna Base Camp. 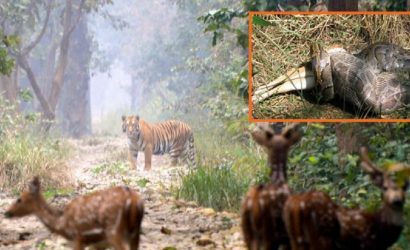 The permits you will need are Annapurna Conservation Area Project Permit. And the TIMS ( Trekkers Information Management System). 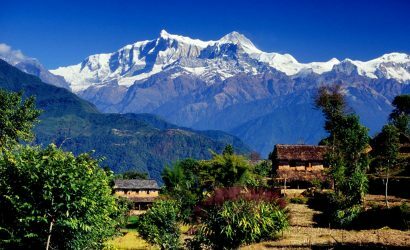 We are flexible with the Annapurna Base Camp trek itinerary and we can adjust the schedule according to your preference. This also means that the cost will vary with each package and duration. If you are someone willing to take the Annapurna Base Camp trek in a relaxing way we also have Annapurna Base Camp Trek-14 days for you. Further question or queries, please feel free to contact us. Witness the culture, tradition, and lifestyle of the Gurungs and the Magars. Walk through lush green Rhododendron forest and oak trees. Breathtaking mountain views of the magnificent mountain peaks. Today you will begin your journey from the gateway city of Pokhara. After an early morning breakfast at Pokhara, you will start your 2-hour ride in a private vehicle and will head towards Nayapul. Nayapul is the starting point of your trek. Because you will start fresh and full of energy, the first day will be by far the easiest. 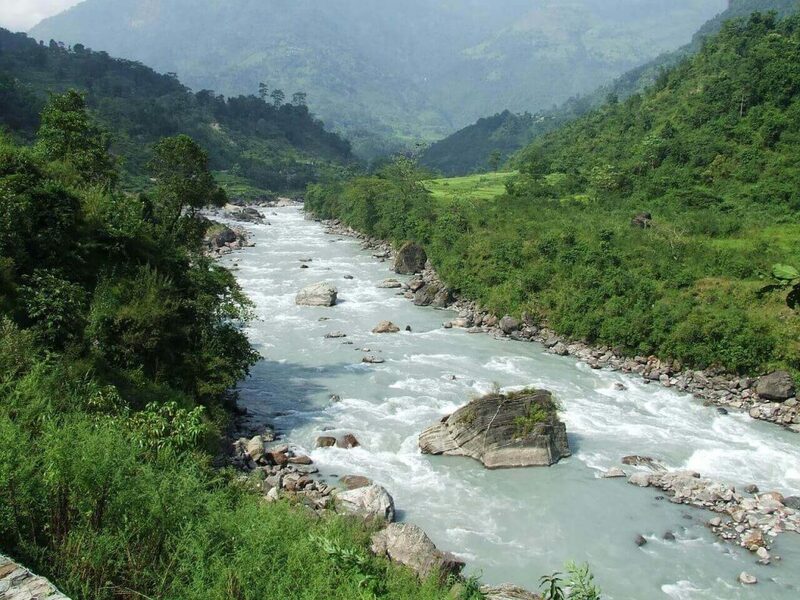 From Nayapul you will move to Birethanti village which is the main entry point of the trek. Birethanti village is a checkpoint where you will complete the formalities of showing your permit and TIMS. Then further you will proceed with your trek through the beautiful traditional village of Gurung and Magar. Along with the bank of Modi river and walk uphill towards the Jhinu Danda. Today's trek will also allow you to enjoy the natural hot spring which is just a 20 minute downhill walk at the river below the village. Overnight stay at a tea house in Jhinu Danda. After your breakfast, you will begin your trek passing through the beautiful Rhododendron and oak forest. The trail continues with steep ascents. Here you will enjoy the magnificent views of the Annapurna South, Hiuchuli, Macchapucchre etc. 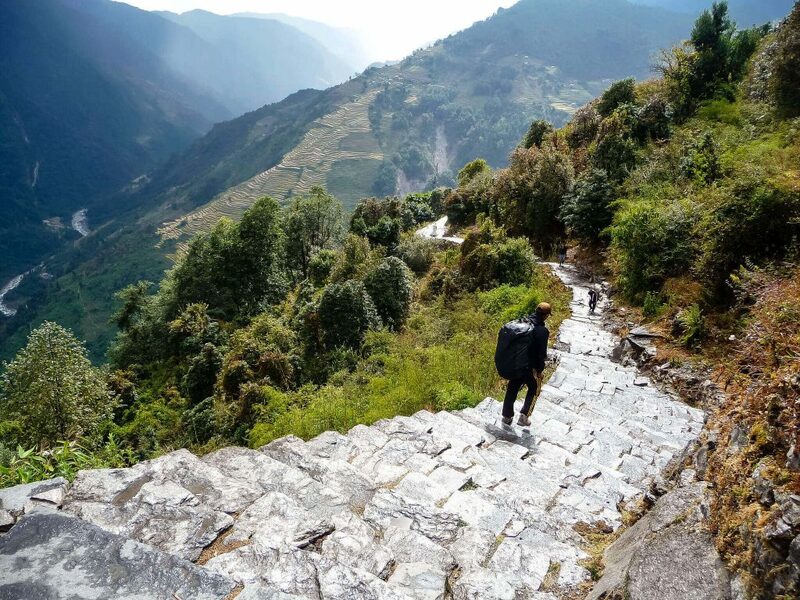 Further, you will pass through Chomrong Khola and ascend up to the beautiful village of Chomrong which lies in the lap of Giant Annapurna Massif. You will then descend through a stone staircase and cross the Chomrong Khola on a bridge to climb up to the beautiful village of Sinuwa. Here at Sinuwa, you will have your lunch. Later your trekking trial will enter the Modi Khola valley with an easy walk through the dense forest of Oak and Rhododendron. Your walk gently ascends towards Kalgidhar and then descends toward another fine village of Bamboo. Overnight stay at a tea house in Bamboo. You will start your day as usual ie after having your breakfast at the tea house. Today's trek passes through the long steep stone staircase and bamboo forest which is a damp and cool forest. As you reach Dobhan, you will have your lunch here. 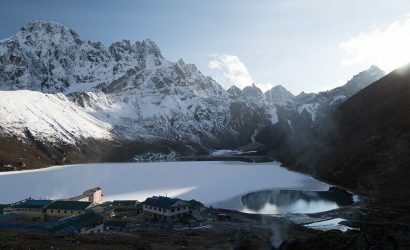 After that, you will continue your trek which will pass through Rhododendron forest and steep stairs to reach the Hotel Himalaya. The forest opens only after reaching Hotel Himalaya. You will trek through the dry forest before reaching Hinku cave. Further, your trial takes descend closer to the river. And several avalanche chutes before climbing towards Duerali. Deurali is a beautiful spot where you get to witness the amazing views of the valley, stunning mountain river, cliffs, waterfalls. Also the vegetation, flora, and fauna along with breathtaking Himalayan vistas. Overnight stay at a tea house in Deurali. 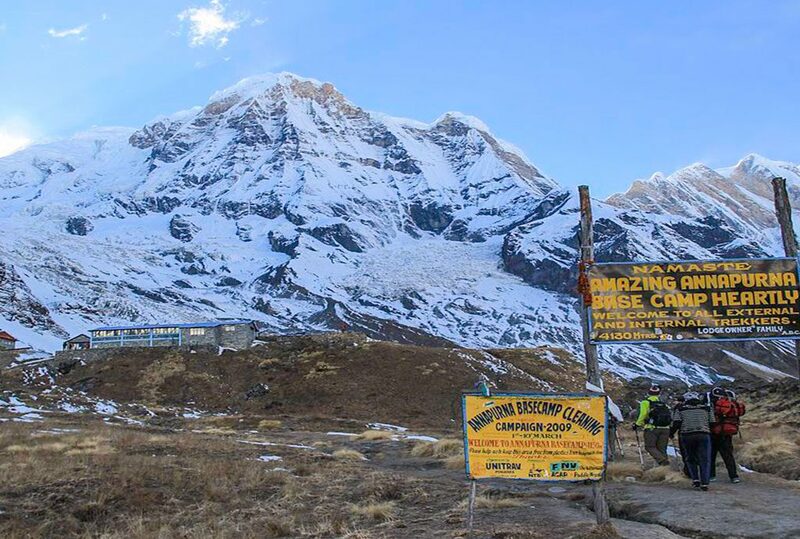 Today you will reach your goal, the Annapurna Base Camp. This is the most exciting and also the most difficult day of your trek. Like every day, after having breakfast at a tea house you will continue your day with a gentle climb through the steep stone staircase. 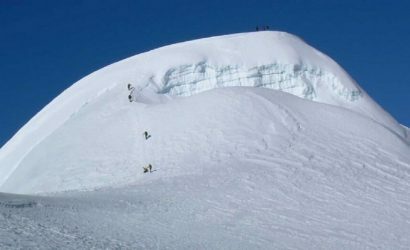 Your walk ascends through Bagar to a place of Avalanche. As you continue to walk further you will witness the magnificent view of Himalayas very close. Your trial then turns left to Machapuchare Base Camp where you will enjoy your lunch. After lunch, you will move forward to Annapurna Base Camp. On your way to ABC, the settlement of people and vegetation disappears and the path widens as you enter the Annapurna Sanctuary. Upon reaching the Base Camp, the breathtaking views of the icy glaciers and moraines is spectacular. Moreover, the pristine 360-degree view of the giant Himalayan range is captivating. Embrace the moment as you connect with nature and don’t forget to click some amazing pictures for memories to take back with you. Overnight stay at a lodge. Today, enjoy the mesmerizing view of the golden sunrise over the spectacular mountains. After enjoying some memorable moments at Annapurna Base Camp you head back. You will descend towards the Sinwa. The trails take you through the beautiful Modi George surrounded by beautiful nature. You will spend your night at the beautiful village of Sinwa enjoying the Modi river valley and snow-capped mountain views. Day 06: Trek from Sinuwa Danda to New Bridge and Drive to Pokhara 3-4 hrs drive. Today is the last day of your Annapurna Base Camp trek- 6 days. You trek starts from the Sinwa village following the beautiful landscape and ends at a new bridge below the Jhunu Danda. Your trial follows the beautiful rhododendron forest. And beautiful traditional villages until you reach the new bridge. Once you reach the new bridge you will enjoy your lunch and take a short and scenic drive back to Pokhara via Nayapul. Back in Pokhara, you can enjoy the evening. The remaining day is at your disposal. You can either relax in your leisure time or you can stroll around the famous lakeside area. Also, you can do boating on the Fewa lake. Overnight stay at a 3-star hotel in Pokhara. With this, you come to an end of the 6 days Annapurna Base Camp trek.